In the spring of 2013, immunization coalitions around the country voiced a desire for a universal symbol. Putting thought into action, a small group representing the coalitions worked together to identify several potential designs. The committee distributed the final design candidates to the immunization coalitions and one was voted the winner. The symbol, designed for all immunization organizations and advocates to use, is a way to show our solidarity in awareness of and support for immunization. Just as a pink ribbon is associated with breast cancer awareness, this image can be the recognized symbol of immunization. Organizations are encouraged to work together and use this symbol as a statement of broad support for immunization. 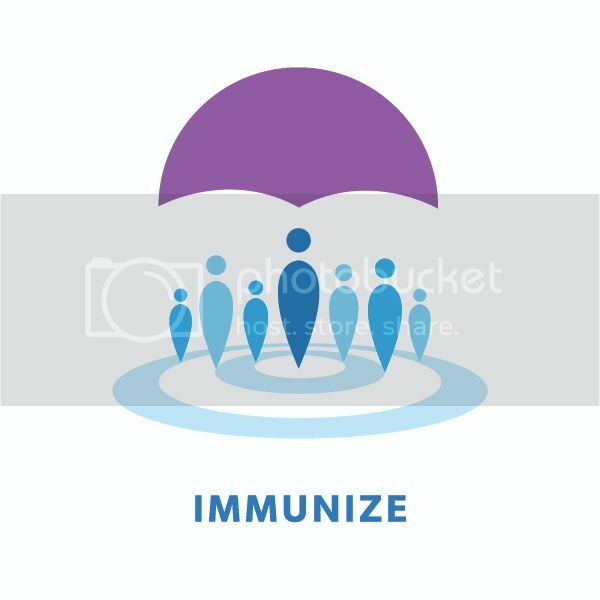 The mark does not replace organizational or campaign logos, but is rather a symbol to collectively present a united front in support of immunization. On the Google drive link, you see two folders: (1) _MACOSX; and (2) immunize_final. In these two folders, you will find the Style Guides for use in both Mac and PC operating systems.